Made of elegant designed heavy brocade fabric, this challah cover is elegantly designed with accents embroidered with silver colored thread. The design is finished with three diamond shapes on the top and bottom of the design. Each of the larger diamond shapes is made with smaller diamond designs. 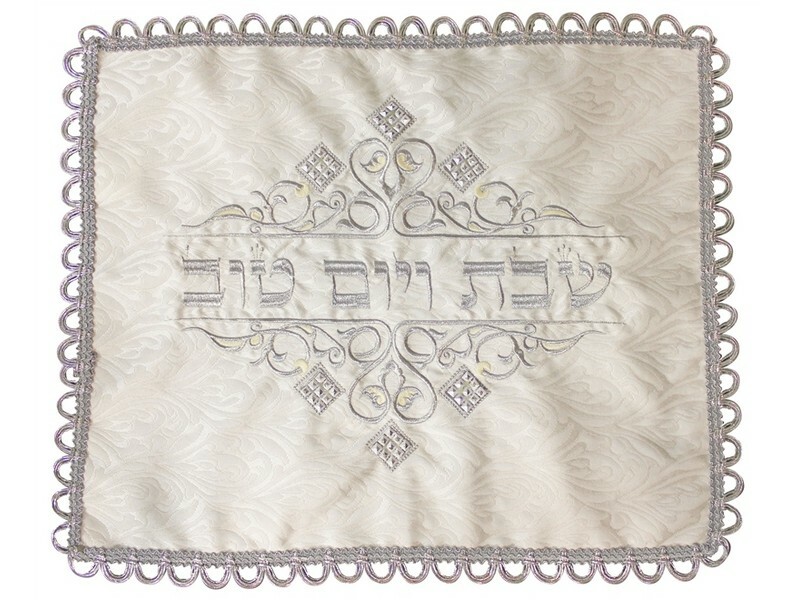 The Hebrew words “Shabbat v’Yom Tov”, “Shabbat and Yom Tov”, are embroidered across the center, in the middle of the design. The edges are finished with silver thread arches.